Wondering what the crowd is raving about? Vita Perfetta Photo Cookie Booth a hot new party treat. First, you take a selfie with our epic iCube. Then, we print your photo onto an edible icing sheet. Now it’s time to amp up the flavor with a scrumptious cookie! You’ll see your gorgeous image layered on top of buttery, sweet shortbread. The fun doesn’t end there! We dip your cookie in sprinkles for a little sparkle. These amazing cookies are perfectly packaged to eat on the spot or keep as an adorable souvenir. Join the crowd and get in on this hot new trend. 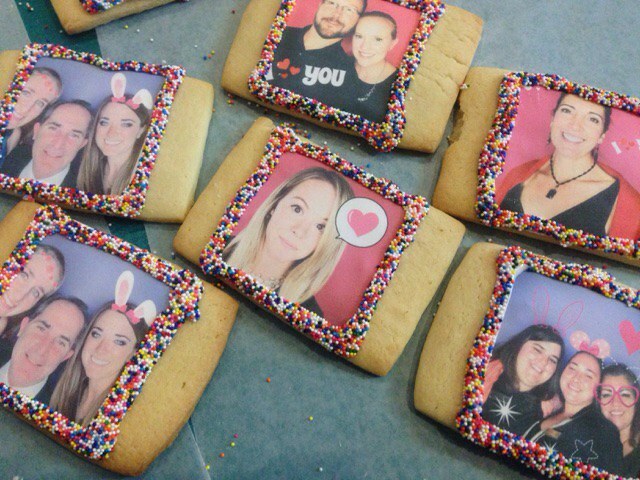 Vita Perfetta Photo Cookie Booth is the sweetest selfie you’ve ever taken!